Powerful and safe nail fungus remedy. Eradicate the fungus causing ringworm. Powerful and safe nail fungus remedy. Eradicate the fungus causing ringworm. Value Size. Made of the finest ingredients and to the highest pharmaceutical standards, this is the first certified organic FDA registered ringworm treatment. Ringworm Control is a powerful and uniquely all natural solution that is designed to eliminate the fungus that causes ringworm rash by stimulating the body's own natural immune defenses. It doesn't just kill infection onsite, like a chemical, but enables your immune system to target the cause of the infection and eliminate it. While there are many home remedies for ringworm, the special dual modality approach of Ring Control uses homeopathic medicines to remove ringworm while a carefully designed blend of essential oils and plant extracts, that are certified organic, help relieve the itching and discomfort associated with ringworms. By combining these two approaches, Ringworm Control delivers results that can be counted on again and again. Ringworm Control acts at the cellular level to clear infection that causes ringworm, while relieving the symptoms of ringworm at the same time. 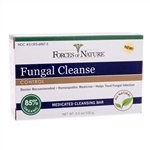 The potent ingredients of this medication deliver a powerful anti-fungal action while the low molecular weight of the certified organic plant extracts enable rapid absorption into the skin to deliver its unique dual modality formula directly and deeply into the infected areas. 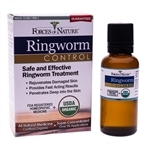 Ringworm Control is a highly effective homeopathic medication that is one of the fastest acting anti-fungal treatments on the market that don't contain harsh skin damaging chemicals. 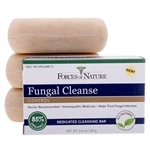 Registered with the FDA this is one of the finest anti-fungal medications available without a prescription. Every ingredient has been carefully selected and gathered from throughout the world and then blended into an effective formula that directly addresses the problem of ringworm in a fast effective way that usually delivers results within days. The approach of Ringworm Control has been medically designed to provide direct action in eliminating ringworm through homeopathic medications while providing a healing and relief through the use of certified organic plant extracts. The purpose of these extracts is to help bring your skin back to its natural balance. And all this is done without the damaging side effects of harsh chemicals. Ringworm Control is a medication designed for topical use because direct application to the skin brings the fastest relief and delivers medication directly to the site of the infection. All it takes is rubbing two or three drops into the infected area three times a day to deliver rapid relief and elimination of infection usually within only a few days. This breakthrough ringworm treatment is over the counter sales approved, doctor recommended and safe and effective. And we back our product with a confident one year money back guarantee that takes all the risk out of your purchase. 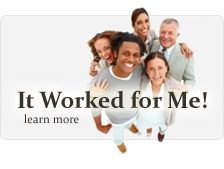 It's time to buy Ringworm Control and experience the relief that the very best can give.